First you will need to get a satellite atomic photo holder, I ordered mine on ebay, they also have them on Amazon (here). Then you will need small plastic Christmas tree ornaments that have a silver tab on the end, similar to these I found on Amazon. This type of ornament allows the clips on the mobile to attach easily to the ornament and have a good grip. You can use all one color or various colors to match the nursery color scheme. 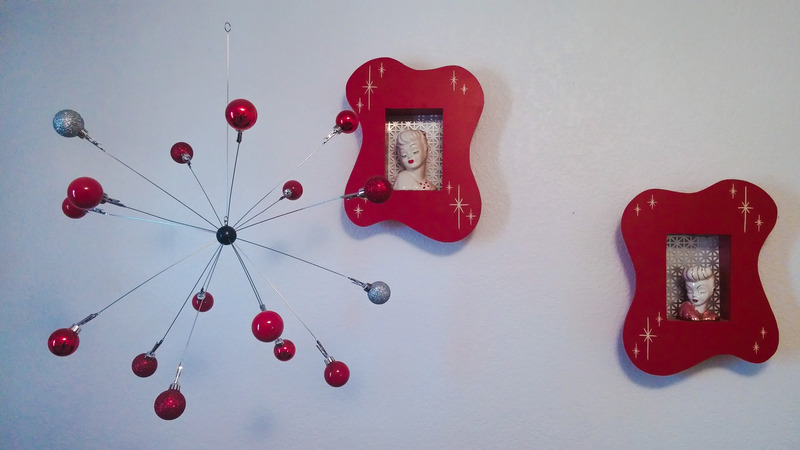 I chose red and silver because I had these ornaments. I had to spray paint a few of them since they were grey and they didn’t match very well. 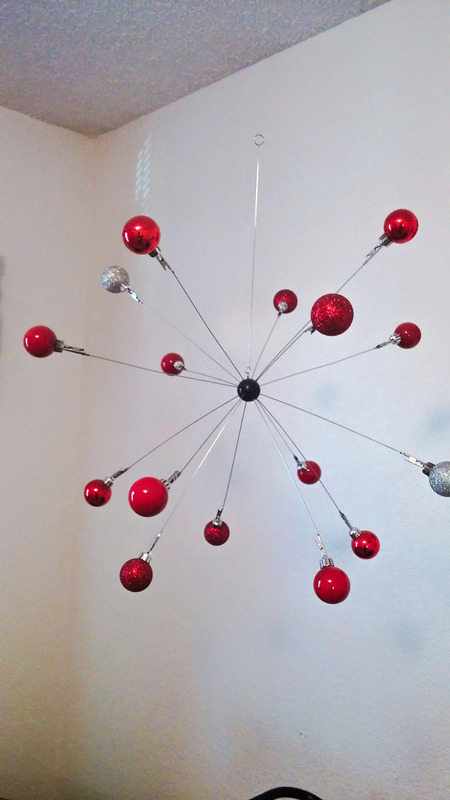 Then you just have to hang the mobile from the ceiling with fishing wire and you are done! 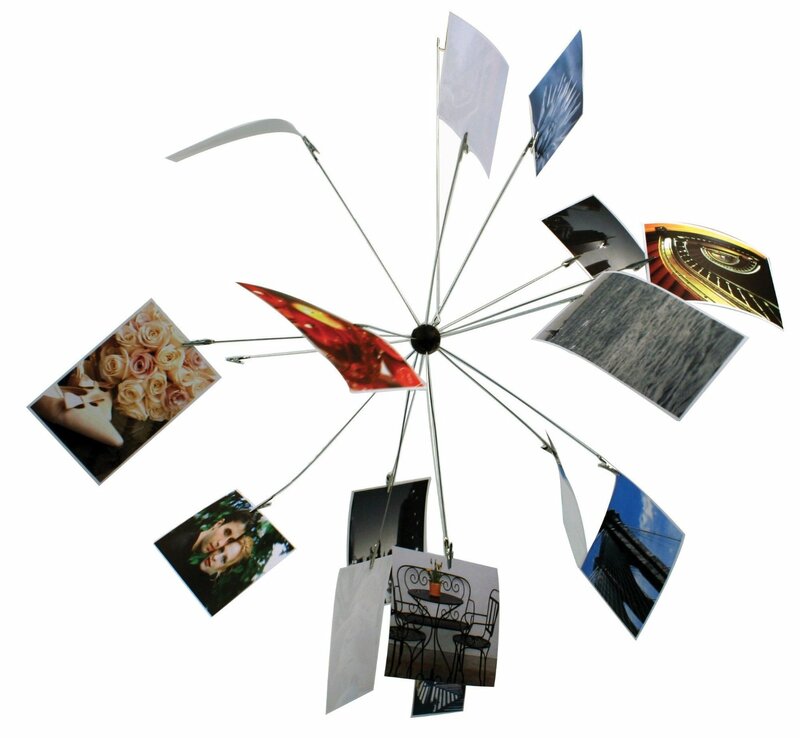 This atomic mobile is very simple to make and it looks original and expensive. I love a quick project! You can also use this in any room for decor it doesn’t have to be just for a nursery.